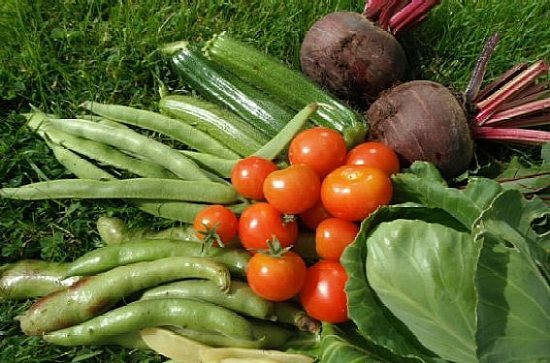 Transition Black Isle is part of an international network of Transition communities working towards making the lives of their members more satisfying and sustainable in the face of resource depletion and climate change. It's easy to think "What can we as individuals do in this situation when governments and corporations seem unwilling to put the well-being of the world before their selfish interests?" But if we work together in communities on a local scale, we find it is possible to take positive, practical steps towards building a thriving Black Isle and world, and once we get invloved we find how satisfying and rewarding this can be. LOCAL people are coming together, taking positive, practical steps to tackle the biggest challenges we face and create a resilient Black Isle. Strong, vibrant communities will find themselves much better equipped to move forward in the face of over-dependence on fossil fuels and the potentially disastrous climate change which is likely to result. Our way of life is largely powered by fossil fuels like oil and coal. Practically all aspects of the lifestyle we take for granted depend on oil. Food, heating, transport, agriculture, hospitals, medicines; modern western society revolves around the assumption that we have - and will continue to have - plentiful supplies of cheap fossil fuels. 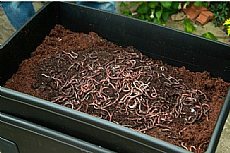 But the energy cost of extracting them is increasing and carbon dioxide emissions from burning them are a major cause of global warming and source of pollution. We must leave the fossil fuels in the ground, develop alternative energy sources and reduce total energy consumption. Looking these issues squarely in the face it becomes clear we must adapt and change the way we live, which means being prepared to adopt a more frugal lifestyle than we have become accustomed to. 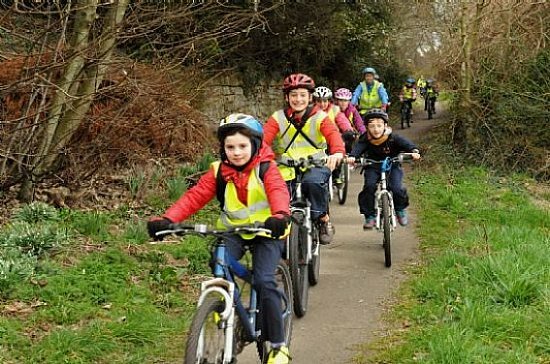 Getting people involved in making our communities resilient and helping to push the change to a low carbon society is what Transition Black Isle is all about. The good news is it's not all about doom and gloom. Living more locally is more fulfilling, more rewarding and ultimately a lot more fun than rushing in pursuit of an unsustainable lifestyle with barely time to think, let alone get to know our neighbours. It can and should be "more a party than a protest". Find out more about TBI and get involved! 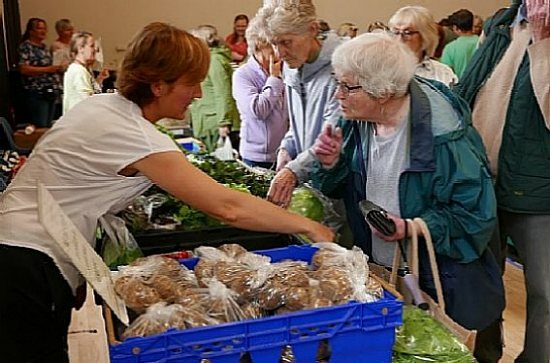 There is a Community Market nearly every week in a different village on the Black Isle, selling local produce and crafts and offering the opportunity of a chat over refreshments provided to raise funds for local groups or charities. TBI has produced a comprehensive Growing Guide (still available) for the north of Scotland, run several series of 'Grow North' workshops on a range of growing topics, and bought an apple press, which is very popular for juice making in the autumn. The Black Isle Larder website replaces an earlier 'Your Local Larder' booklet which had become out of date. 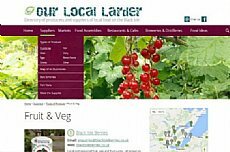 It provides up to date information both to local people and visitors about Black Isle producers and suppliers offering food and drink largely sourced here. TBI's Million Miles project reduced car use significantly, and we continue to encourage public transport and cycling, with an associated bike hire business and publication of an Active Travel map and guides to Black Isle cycle routes. 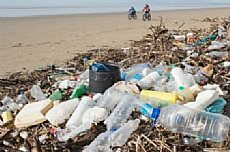 With pollution from single-use plastics a top cause of environmental concern, a group has been set up within TBI to exchange ideas and information on the issue and ultimately to change the attitudes and actions of people and businesses on the Black Isle. 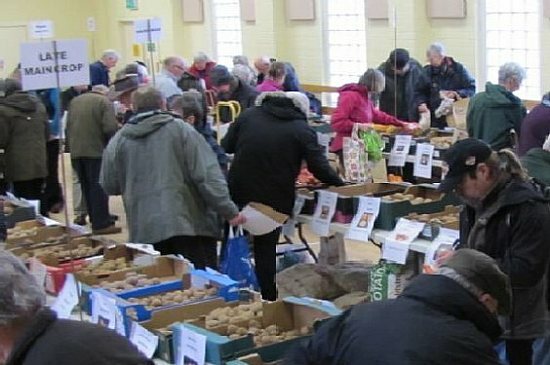 In March each year TBI's most popular event offers gardeners the opportunity to select their seed potatoes from around 70 different varieties at a fixed price per tuber. Add onion setts, all day refreshments, variety and growing information and advice and a seed swap stall, and it's no wonder it draws the crowds. Images below are in the 'Gallery'.